Can I confirm my travel dates prior to purchase? Can I check room availability before I make a purchase? What if my preferred dates are unavailable? Is the price listed per person? What does Ex (i.e. Ex MEL) mean? What if the dates that I want to travel on are not included in this deal? What does 'subject to availability’ mean? Can I cancel or change my accommodation after I've booked? Can I make a purchase for another person, i.e as a gift? Can I add additional people to my reservation? I haven't received my Kogan Travel voucher yet. What do I do? I have made my reservation. Do I require a hotel voucher as well as my unique booking code? Where can I find full terms and conditions for Kogan Travel? I am booking for my honeymoon. Which name should I use (maiden or married) when I purchase my voucher? How much time does my passport need to be valid for when I travel? It has been 7 days since I sent in my booking form but I haven't received confirmation. What do I do? Does my hotel reservation include breakfast? Does my reservation include airport transfers? The hotel is asking for a credit card to be provided at check-in, however my reservation is pre-paid. My booking was not able to be confirmed. How long will it take for me to get a refund? I have a flight booking. Do I need to re-confirm my flights? Can I earn Qantas Frequent Flyer points for every dollar on purchases with Kogan Travel? My flight has been delayed/cancelled and I will not be able to check-in today. What should I do? The first step is to purchase your Kogan Travel voucher. Once you have chosen which voucher you would like to buy, click 'Add to Cart' and follow the payment prompts to make your purchase. After purchasing, you will be emailed a confirmation and online booking form. Our suppliers will confirm your preferred dates within 7 days of you completing the online booking form with your passenger details and requested travel dates. If, for any reason, none of your requested dates are unavailable, we'll issue you a full refund in line with the Kogan Travel Booking Guarantee. Kogan.com has been operating since 2006 and we have a community of over 6,200,000 loyal fans. This buying power enables us to strike great deals with resorts and tour operators around the world. It's a win/win for everyone - we help our customers get the best deals in the world and luxury resorts and tour operators get to ensure they're always busy. To choose your dates you must first purchase a voucher. Then once you have completed your purchase, you will be emailed a confirmation and online booking form. If for any reason none of your requested dates are unavailable, we'll issue you a full refund in line with the Kogan Travel Booking Guarantee. When you purchase a deal from Kogan Travel, you are certain to receive a fantastic deal every time. However, availability constantly changes and reservations are made on a first come, first served basis. Therefore we cannot advise availability prior to purchase. We do ensure there is plenty of availability across the travel period at the time of promotion, although popular times such as school holidays and festivities are usually booked up first. If for any reason none of your requested dates are available, we'll issue you a full refund in line with the Kogan Travel Booking Guarantee. The valid travel dates or travel period for each offer are specified in the Travel Listing under the heading ‘Travel Dates' Unless otherwise specified, you can travel at any time within these dates. Blackout Dates are certain dates where the accommodation or promotions are not available. These dates typically fall on or around major holidays or other peak travel seasons. All travel listings specify the number of travellers in each deal For example if a deal states 'Tour and Flights for Two' then the total price is for 2 people. However, in marketing, such as in email newsletters or other places on the Kogan Travel website, prices may be stated on a 'per person twin share' basis. If you are unsure, please contact . 'Ex' (exiting) refers to the departure city of flights included in the deal. Only the dates included in the deal are valid. What does 'subject to availability' mean? Your booking is subject to the availability of the rooms provided by our supplier for the Kogan Travel promotion. The supplier will provide ample rooms throughout the booking period for Kogan Travel customers, however, not all rooms or room types available at the resort on any given day will be available to guests participating in the Kogan promotional offer. Please note that bookings for available rooms will be taken on a first come, first served basis. Once you have booked your travel, no cancellations can be made, unless your requested dates are unavailable, in which case we'll issue you a full refund in line with the Kogan Travel Booking Guarantee. Amendments are subject to a minimum fee of $100 per person, together with any additional fees applied by the supplier, operator, or airline. Please email or call Kogan Travel on 1300 517 210 to discuss amendments. No, all bookings are non-transferable. Can I make a purchase for another person, i.e. as a gift? Yes, absolutely! You will just need to provide the unique code and redemption instructions to the lucky recipient! No. Bookings/voucher redemptions and availability checks must be made through Kogan Travel. 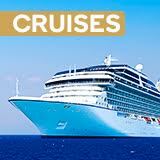 This is because in many cases we have allocations for each promotion which apply to particular rooms and availability. These are not always visible to the reservations department of each supplier. Your booking must be made for the total number of guests staying in each room including children and infants. All hotels and resorts have restrictions on the number of guests per room. Maximum occupancy per room type is advised in each offer. Please ensure that you select the correct voucher for the number of guests that will be travelling. In most instances a reservation can be amended, depending on availability. All amendments are subject to additional fees or room costs applied by the supplier, operator, or airline. Simply contact our Kogan Travel Consultants at or call us on 1300 517 210 and we will be in touch to sort it out! I have made my reservation. Do I require a hotel confirmation as well as my unique booking code? Yes. You will receive a Kogan Travel voucher shortly after you order. A hotel confirmation email will also be provided (normally 4-6 weeks prior to your travel date). If you have not received your Kogan Travel Voucher please contact Kogan Travel. If you have not received your hotel confirmation within 14 days of your travel date, please email us at or call 1300 517 210. Kogan Travel Terms & Conditions can be found here. All travel documents must be issued in the same name as your passport or current identification for when you will travel. You must have at least 6 months clear validity on your passport from your return date. Please contact our Travel Team at or call 1300 517 210. Some hotel reservations include breakfast, but not all. 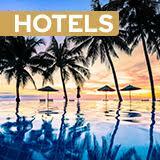 The inclusions of your specific hotel deal will be clearly stated on the offer promotion details. The promotional offer details all inclusions including airport transfers (if they are included). In most cases, airport transfers can be arranged even if they are not included in the offer. Please contact a Kogan Travel Consultant at or call 1300 517 210 if you would like to book airport transfers. This is a standard hotel process to cover any incidentals that are used during your stay such as mini-bar or room service. Once a refund is requested under our 14 Day Booking Guarantee, the refund will be processed and funds will arrive in your bank account within 3-5 business days. No. It is no longer a requirement to re-confirm your flight. We do recommend checking the airline schedule to ensure your flight is running on time and that you arrive well in advance of the required check-in times. No, this offer applies to non-travel purchases only. Of course we can ensure that your Frequent Flyer number is entered in any flight booking you make with Kogan Travel. If you are able to contact the hotel directly, we recommend advising them of the situation. Alternatively, you can contact Kogan Travel on 1300 517 210 between 9:00am - 5:00pm Monday - Friday AEST.